It´s a ws containing some expressions with at,in,on followed by two exercises. 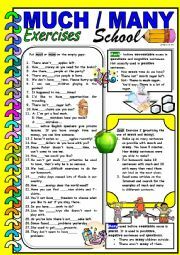 A worksheet containing short grammar guide with two exercises. The first one is to choose between some or any and the second one is a drill exercise with polite questions or questions where we expect the answer yes. I hope you´ll like it! A ws on linking words. There are 15 linking words and 35 sentences to practise on. Any feedback is appreciated. Have a nice day! 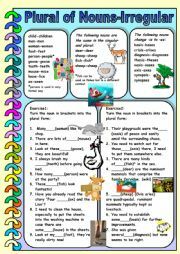 It´s a worksheet on plural of nouns-irregular types. Since there are many type of irregular nouns I put three types and exercises which follow them. 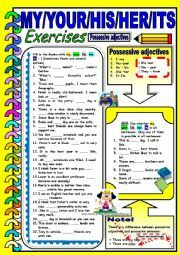 A worksheet on possessive adjectives with lots of sentences to fill in. There are also short explanations. 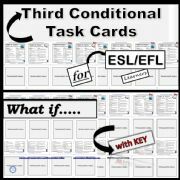 It´s suitable for revision with your elementary level teenage or adult students. 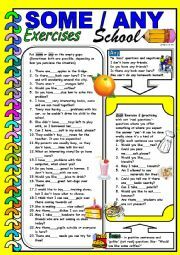 One-page worksheet on question words for your elementary teenage or adult students. It has two types of exercises. Have a nice day! 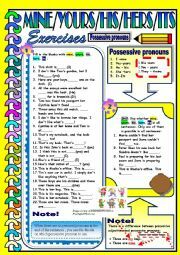 One-page worksheet on possessive pronouns for your elementary level teenage or adult students. It has 20 sentences to work on and one drill exercise. Have a nice day! 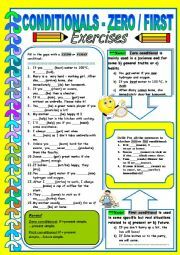 A worksheet with several exercises related to much and many. In the first exercise you need to fill in with much and many and the second is a drilling exercise with a few tasks. 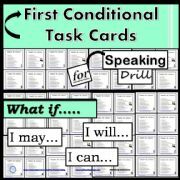 One page worksheet on zero and first conditionals with 15 sentences and the rules. It´s intended for your teenage and adult students. 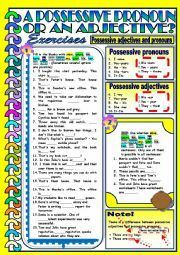 One-page worksheet on possessive pronouns and adjectives. Students need to decide on which to use. There are also grammar rules and one drill exercises. Have a nice day! 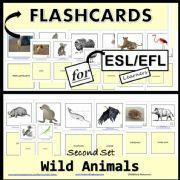 There are 24 task cards with questions and vocabulary to help your students with speaking.You can also add your own images. Have a nice day, Darija! 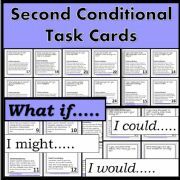 There are two task cards with the third conditional sentences.Instructions on how to cut them out are also included. There is also an answer key. 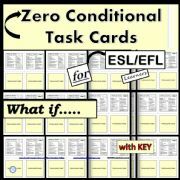 Here´s another set of task cards - there are two task cards on the zero conditional. Have a nice day, Darija! A presentation on prepositions for the youngest learners. I posted it on TPT as well. 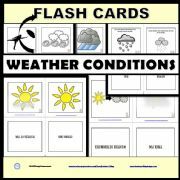 It can be suitable activity for revision. Have a great day! 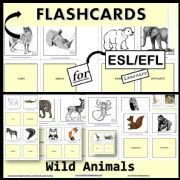 This is the second set of flashcards - Wild Animals. I hope you´ll like them. Have a nice day, Darija!